Each year it’s a tall order to go through the requests and choose a person to receive each particular scholarship or award. For their conscientious deliberation in selecting the award winners and scholarship recipients, the Foundation thanks Jen Eaton Miller, Tracy Karl-Lebrenz, Lisa Hennig, Patrick and Gloria Carroll, and the scholarship committee. 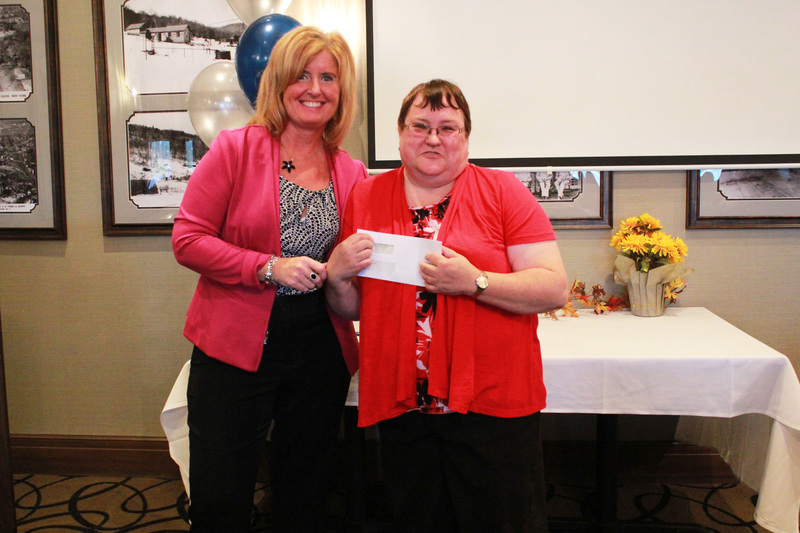 The Jacob J. Karl Memorial Staff Scholarship was presented to Jessica Preston who has worked for the Agency for more than five years beginning her career as a Lifeskills Treatment Supervisor and is currently a Community Employment Specialist. Jessica applied for the Jacob J. Karl Memorial Scholarship to assist in obtaining her M.S. in Rehabilitation Counseling at the University of Buffalo. “This degree will help me understand the needs of the people we support and help them reach their goals.,” she wrote in her application. The second award, The Carroll-Sherwood Memorial Award, established in remembrance of the parents of Patrick Carroll and Gloria Sherwood-Carroll, was presented to the Youth Residence for the Sensory/Comfort Room. The next award, The Charlotte Frost Memorial Nursing Award, named for the mother of a child with a disability who was one of the founding members of the ReHab Center serving as president of the board for 10 years, was a graduate of the Buffalo Children’s Hospital School of Nursing. 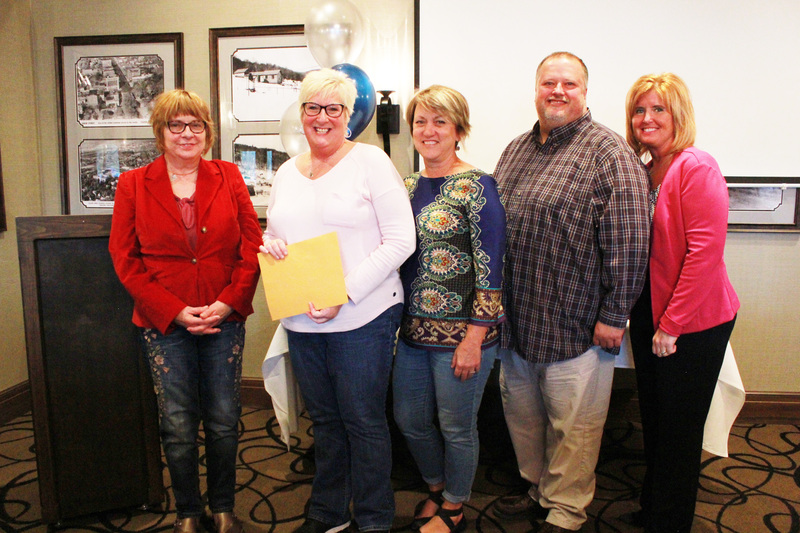 Her inspiration continues in this award which was awarded to Valerie Dunshie, who has been employed at the Agency since 1991, initially as an LPN and then challenged herself to “grow and became an RN in July of 2000,” her nominator wrote. 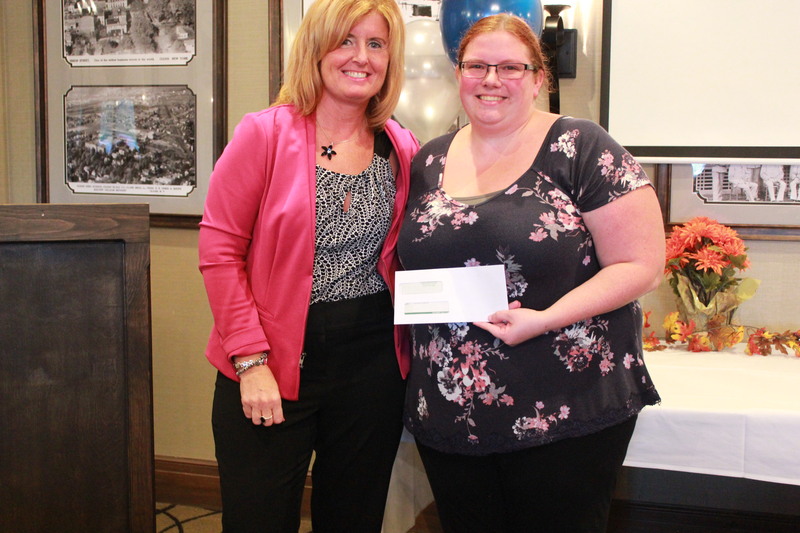 The Mary Tremaine Memorial Staff Award was awarded to Jodie Olson, who is a Family Care Home Liaison and oversees half of the Family Care homes in the Community. 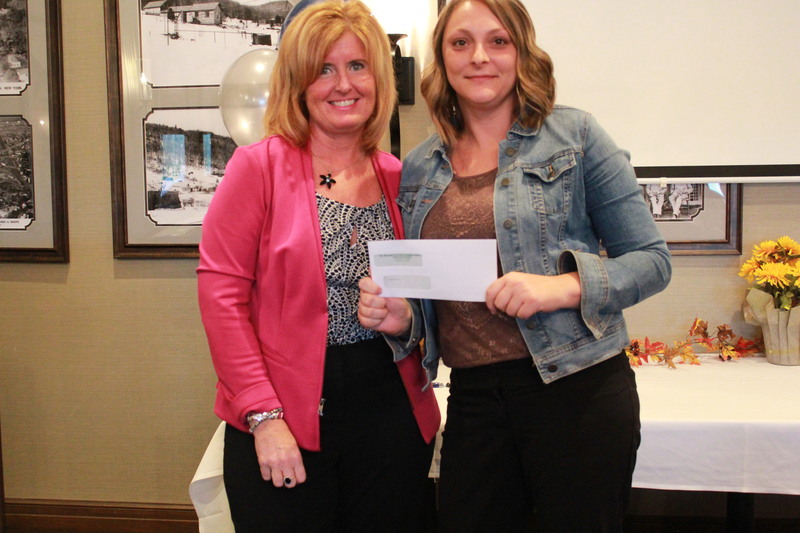 The Rebecca Ann Hellier Memorial Scholarship, which honors the memory of a bright and loving young woman who lived for many years at our agency’s home for children and young adults on the West Fall Road, was awarded to Sarah Krist. She said the scholarship would help defray the cost of attending Jamestown Community College. She has been employed with the agency for 10 years, and is currently a Logistical Support Coordinator. “Earning my degree will allow me to further my career with the Rehabilitation Center. Many job bids require a degree. I would someday like to supervise my department and again, finishing my degree will help me be able to meet this goal.” Sarah wrote. The Eaton Family Memorial Award recognizes two staff members who consistently give 110 percent and best embody the qualities of someone who goes unnoticed, always hardworking and not seeking credit for their accomplishments. Patti Buchanan, DSP III, and Allison Sampson, DSP II, were named recipients.. The Roger Hennig Memorial Arts Enrichment Grant, which was established in 1998 in memory of Roger Hennig, whose life exemplified what people can achieve regardless of disability, was awarded to the Family Peer Support Services’ drum circle project and Day Hab’s Canvas paint Parties. Roger, who had muscular dystrophy, did not let his physical limitations deter him from getting the most out of life. He graduated from Olean High School in 1970 and participated in The ReHabilitation Center’s workshop program. “We would like to offer the families we support and the Parent Support Groups we facilitate continuing drum circle experiences throughout this next year,” Jean Knapp wrote. 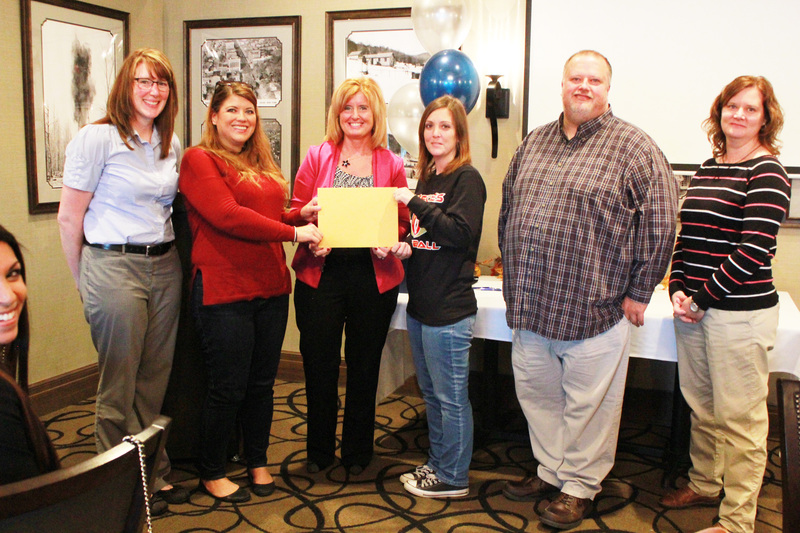 The second recipient of the Roger Hennig Memorial Arts Enrichment Grant was awarded to Day Hab. “We would like to have a canvas ‘Painting Party’ for each Day Hab program,” Gigi Dupont, director, wrote.